Ramadan Mubarak! We are pleased to announce that we are offering a massive £250 discount on the Arabic Awakened Full-Time programme for all applicants who apply between 16th May 2018 - 17th April 2018! Begin your journey on the Arabic Language with our full-time Arabic Awakened programme over the course of 1 year. This course has been designed for those who wish to take steps towards mastering the Arabic language. Whether you want to understand the Qur'an, study classical texts or speak Arabic, Q-Iman is offering a comprehensive full time programme to facilitate your journey. You will be required to attend 5 days a week and upon completion, you will progress on to studying classical Arabic texts. We are offering 35 hours of weekly classroom hours in which you will study an in-depth syllabus, covering Syntax, Morphology, Rhetoric, Application, Spoken Arabic and Tajweed. 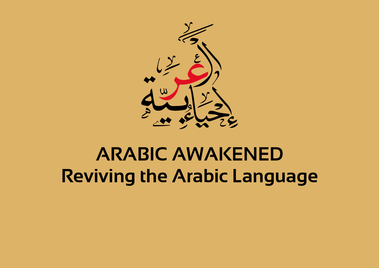 The Arabic Awakened programme is an intensive full-time programme, which runs over the course of a year, designed meticulously by advanced students of Islamic Sciences and graduates of the Arabic Language. At Q-Iman we have a passion to teach the Arabic Language and have taken our drive to produce a course that delivers Arabic to students who are able to commit to a full-time course. Students will be required to attend five days a week at our London campus for a whole day of Arabic studies. The modules encompass different aspects of Arabic; ranging from grammar, to recitation, to application and speaking. The programme is divided into three terms and thirty weeks of on-campus learning, over the course of one year. We have designed this course in a way where the student will be able to take their time and absorb and consolidate their studies as we have dedicated the whole year to just Arabic studies. The Academic year begins during September 2018 and ends during July 2019. A total of 38 weeks have been reserved for on-campus learning. Students will attend from 9am - 5pm resulting in 37 hours of class time per week. We offer approximately 1,235 hours of class time throughout the year giving you plenty of time to learn and consolidate your learning. Students will have 3 days off for Eid as well as the last 10 days of Ramadan. Throughout Ramadan, students will be required to attend from 10am - 4pm instead of 9am - 5pm. The total cost of the Arabic Awakened programme for the academic year 2018/2019 is £3,490. Q-Iman is an educational institute which has been setup up by students, for students. We understand the difficulty students face when they first embark on their journey to pursue Arabic and Islamic Sciences. We came up with innovative methods to help students learn quicker and strengthen retention. We hold an annual spiritual retreat where students spend time over the course of a weekend with their teachers allowing them to take time out and reflect. Our next trip will be on 30th March - 3rd April, for more information please click here. Our second trip is an Arabic Intensive in which we will take our students abroad to allow them to engross themselves in the Arabic language. Students will have an opportunity to meet and study with scholars. *The Ramadan Special Offer only applies to applications submitted before 16th May 2018 to 17th June 2017. This promotion can not be combined with any other promotion or discount.